Welcome to Ardor Nail Lounge! 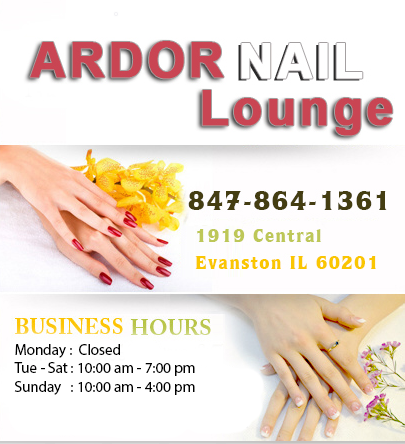 Ardor Nail Lounge – one of the best nail salons located in Evanston, IL 60201. 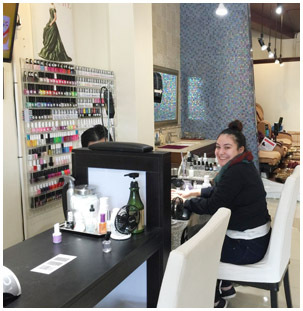 Come to Ardor Nail Lounge An airy, clean space with the friendly and relaxing atmosphere would bring your mind away from the stressful life and let you feel the most comfortable when having a service. That’s the reason why our salon is loved by many clients. All of our experienced – enthusiastic staffs with a high sense of responsibility will serve you with the best services we have. Ardor Nail Lounge uses the most famous and trusted products form prestigious manufactures to ensure high quality in every work we do. Ardor Nail Lounge – Where you would be proud of your natural beauty!